Easily install the latest Drivers for your Ricoh Multifunction Products (MFP) and Printers. Device Software Manager automatically detects the applicable MFPs and Printers on your network or connected to your PC via USB. Simply select your MFP or Printer from the list of detected devices and Device Software Manager downloads and installs the appropriate Driver for your Windows OS. 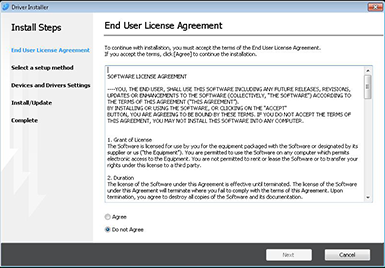 Device Software Manager searches the same network segment as your PC and displays a list of supported multifunction products and printers. When a device is selected from the list, its IP address and other network information is acquired for driver setup. Even if a device is not on the same network segment, you can also search by IP address or device number. 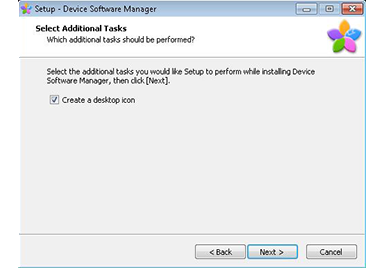 Device Software Manager automatically identifies your PC Windows OS version. 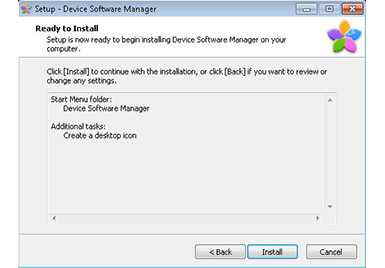 Device Software Manager downloads the latest supported Driver from the Ricoh download server and installs it. * Multi-Lingual User Interface Display language is changed in accordance with Windows locale setting. If the locale setting is not included in “Support Language”, the display language is shown in English. Drivers depend on your machine. 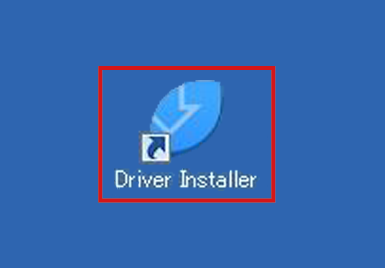 Install Device Software Manager and then install the necessary driver. 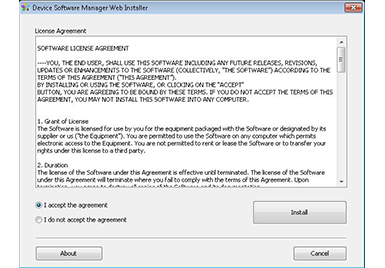 Accept the Web Installer license agreement and click [Install]. 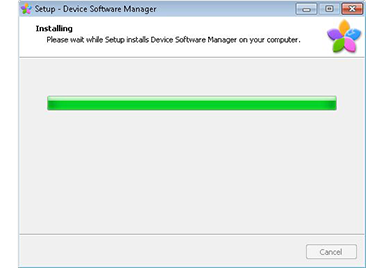 Device Software Manager setup begins. Click [Next]. 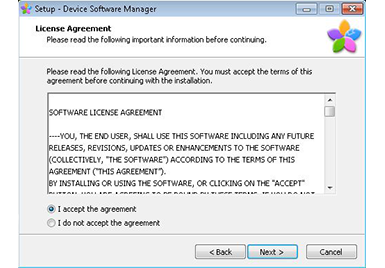 Accept the Device Software Manager license agreement and click [Next]. Select the Start Menu folder. Click [Next]. Perform the additional task selection. Click [Next]. The installation preparation is complete. Click [Install]. 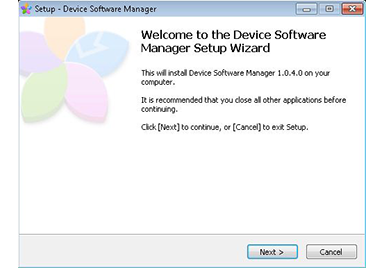 The Device Software Manager installation is complete. If the driver installation is to be executed next, put a check in [Execute Software Manager] and click [Finish]. 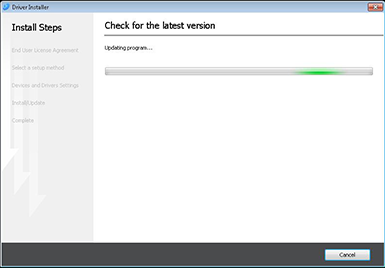 A check for updates to Device Software Manager is done. Subsequent steps follow the drivers installation procedure. 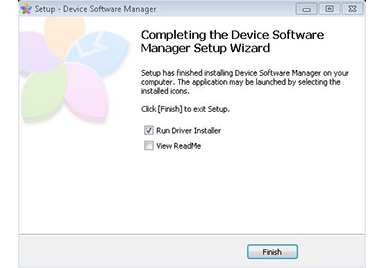 Install drivers using a Device Software Manager utility that has already been installed. 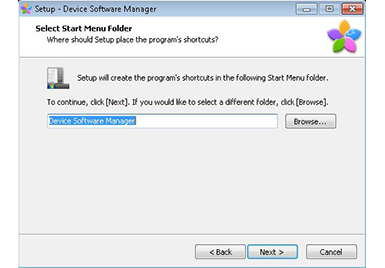 Click [Software Manager] on the desktop or click [Software Manager] under [Device Software Manager] on the Start Menu. Subsequent steps follow the driver installation procedure. It is necessary to connect to the Internet from a PC. Administrator authority is necessary with respect to the PC. This application is resident on the PC. There are planned halts to the system provided. We will give advance notification when a halt is to occur. 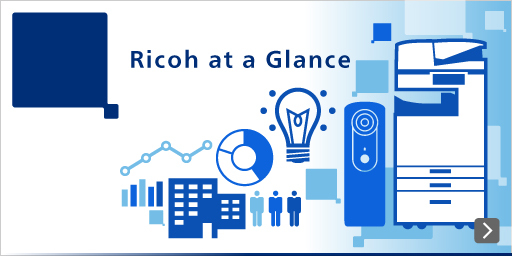 In accordance with Microsoft’s request, Ricoh releases V4 driver by brands effective from V.3.0.0.0. Please note the following limitations occur in using DeviceSoftwareManager. 1. V.1.x.x.x and V.2.x.x.x driver cannot be updated to V.3.x.x.x driver. 2. 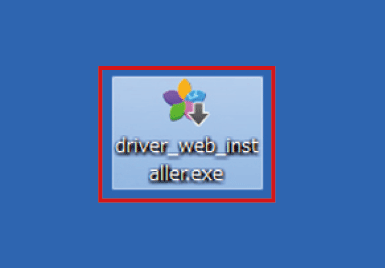 V.3.x.x.x driver can be updated to the same brand driver only. Windows, Windows Vista, and Windows Server are either registered trademarks or trademarks of Microsoft Corporation in the United States and/or other countries. Other company and product names and logos herein are the trade names, trademarks, or registered trademarks of their respective companies.